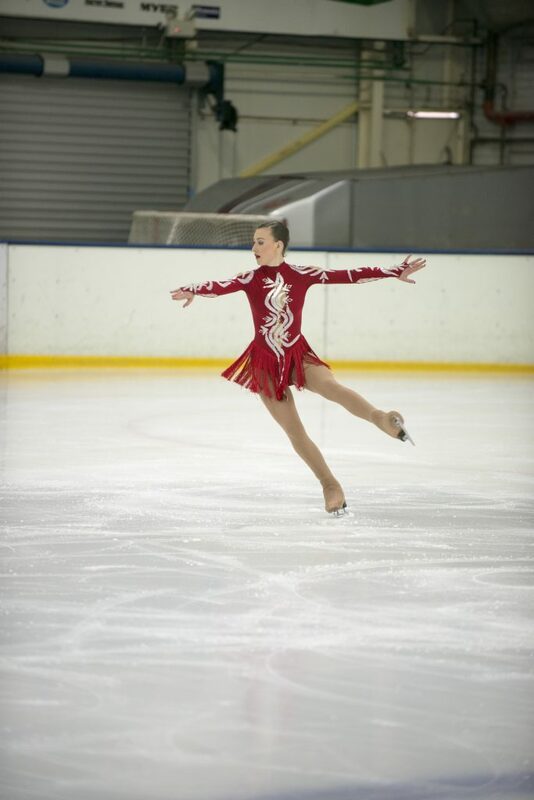 LOCAL 14-year-old skater Anne-Maree Smith has been provisionally selected to compete and represent Tasmania and Australia in two international figure skating events. Anne-Maree will compete in the FMBA Trophy which is an annual figure skating competition held in January in Abu Dhabi, United Arab Emirates and the Mentor Nestle Torun Cup in Poland in early January 2018. Anne-Maree Smith shows off her skating talent. Anne-Maree is the first Tasmanian to compete internationally in more than 20 years. With the help of Anne`s carer, Colleen Morgan who is on a disability pension there are always financial problems, but that doesn’t stop Anne-Maree from pursuing her dream to go to the Olympics, hopefully in 2022 in Beijing. Anne-Maree will initially be competing in the Australian National Figure Skating competition in the first week of December in Brisbane and hopes to improve on her national ranking which is currently 18th in her level Basic Novice B, out of 44 skaters. Anne-Maree will be holding a quiz night at the Masonic Centre, Peltro Street Glenorchy on October 6 from 6.30pm which has been approved by the Figure Skating Association of Tasmania for the Abu Dhabi/Dubai event. She will also have a Go Fund Me page launched very soon. If you are able to help or want any further information please contact Jordyan in the evenings on 6278 8873.